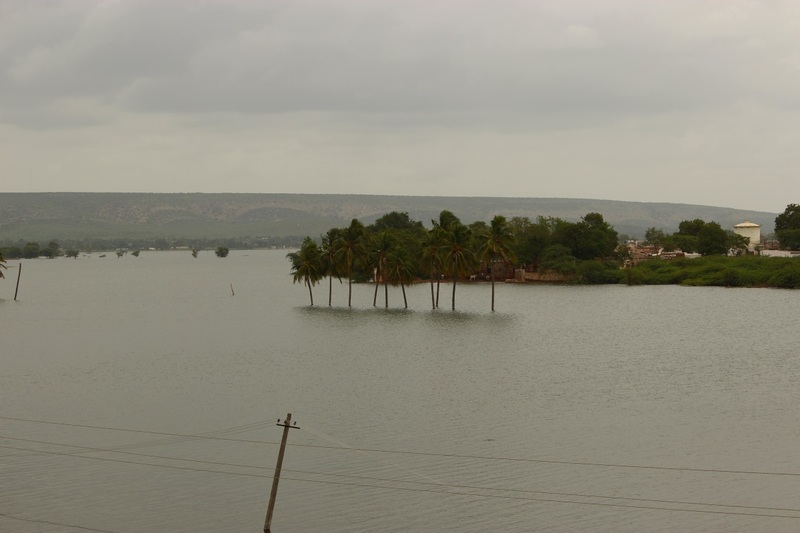 The road from Dharwad to Bijapur goes across river Krishna, where Almatti reservoir backwaters can be seen submerging village and farm lands. 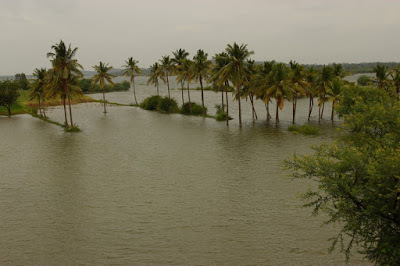 Here are few pictures of coconut trees and fields in water. The bridge near Kolhar village is named after it. Its one of the longest bridges spanning approximately 3.2 kilometers. 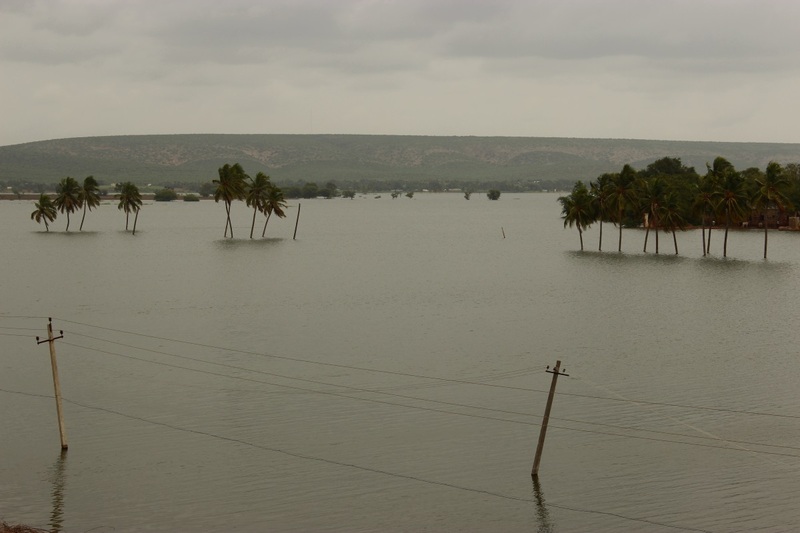 At the edge of the water are standing sugarcane. No worry of watering them ..however there will be challenges during harvest time if the water remains at this level. Photo of Rani Chennamma of Kittur? Soopa Shastra: Did soup flow from Karnataka ? The copyright of photos and text of 'Journeys across Karnataka' lies with the blog-owner and cannot be downloaded/copied/published in part or full or any other form without prior consent.